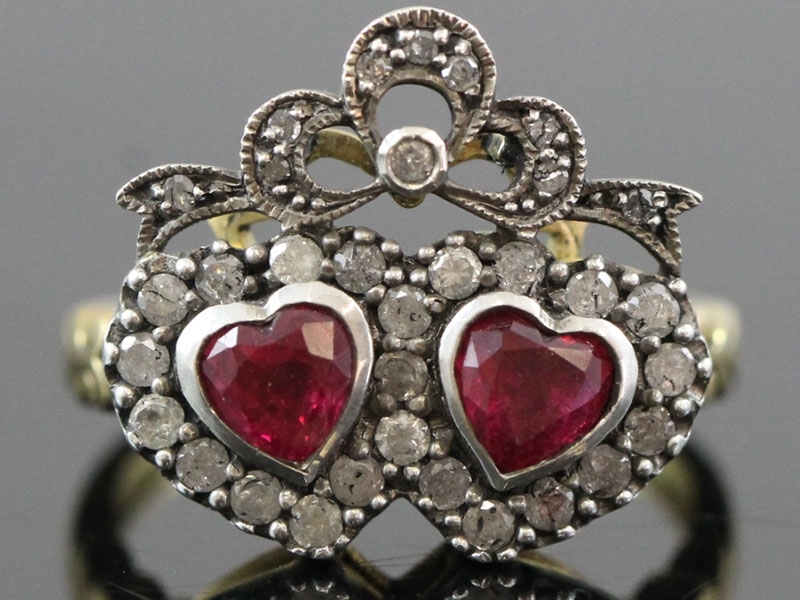 Beautiful and impressive Rubies are showcased by delightful Old Mined Cut Diamonds in a reproduction Victorian double heart Diamond bow topped ring. 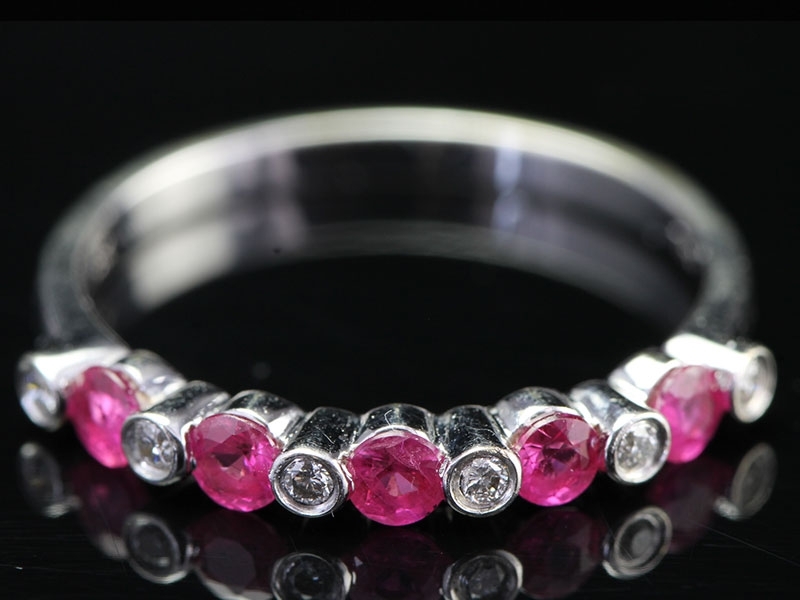 This adorable Ruby and Diamond half eternity ring features four round rich red Rubies and three round cut sparkling Diamonds alternating across the band. This Rich Deep Red Ruby and sparkling Diamond cluster ring is simply wonderful to look at and admire and will be sure to be noticed. 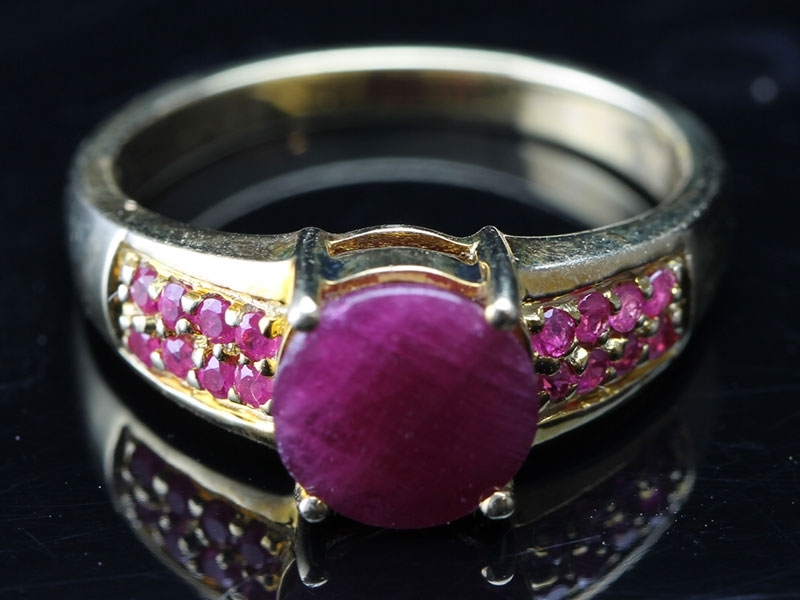 Grace your finger with this ring centered with a brilliant 1.89 carat oval cut Thai Ruby encircled with a halo of bright white sparkling Diamonds set in 18 carat yellow and white Gold. A stunning and luscious bright pure red unheated Burmese Ruby, weighing 1.25 carats, radiates from between a pair of glistening modern brilliant cut Diamonds, together weighing 0.40 points. 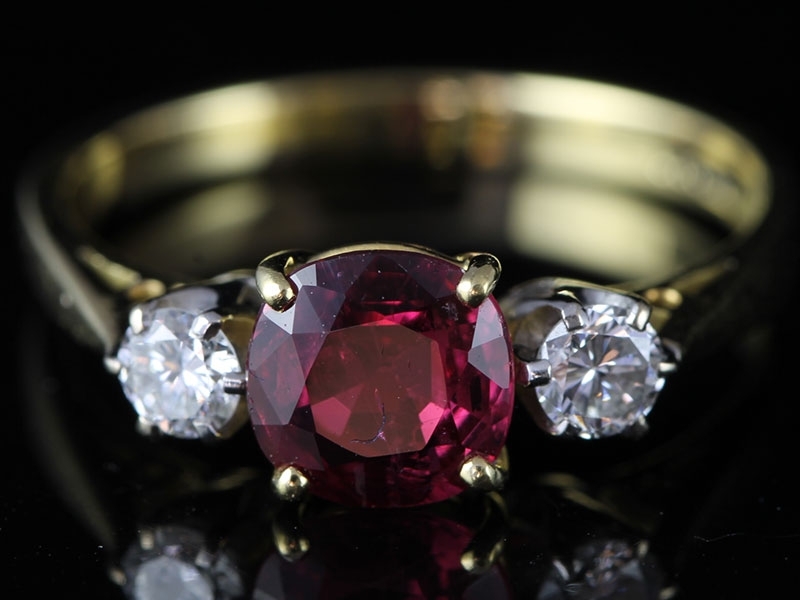 A vintage look with a dash of modern magic, this ring is set with a lively, light and rich with pinks and crimsons pear shaped Ruby. 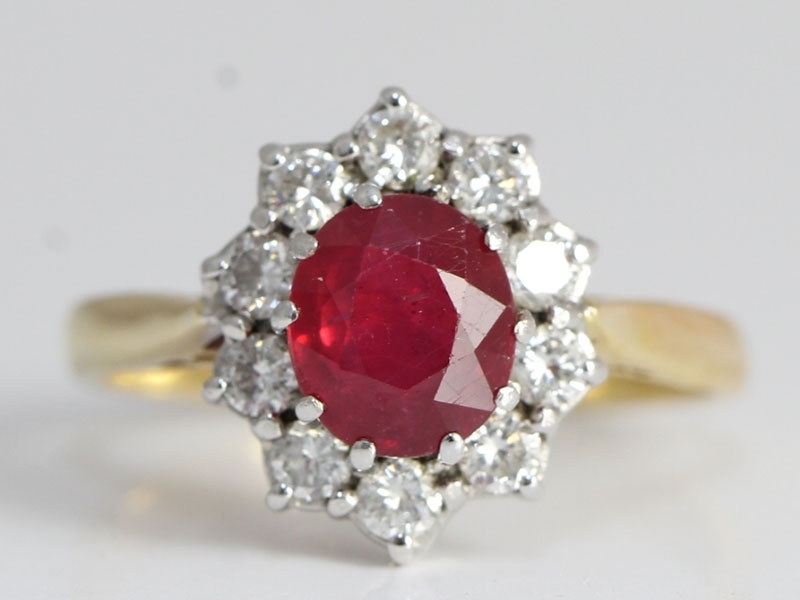 Add a touch of elegance to your fine jewellery collection with this beautiful Ruby and Diamond cluster ring. 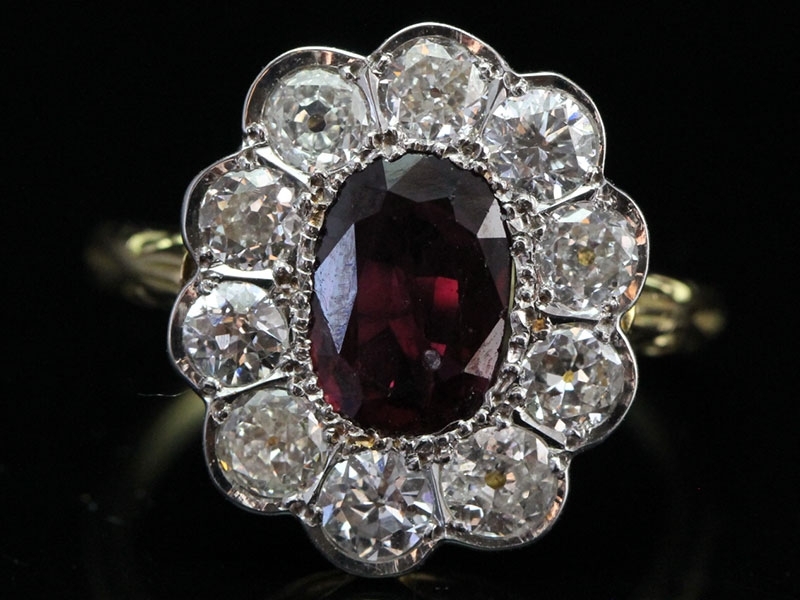 A beautiful ring featuring a center sparkling Diamond surrounded by 6 lovely deep rich red pear shape Rubies work together to create a striking flower. 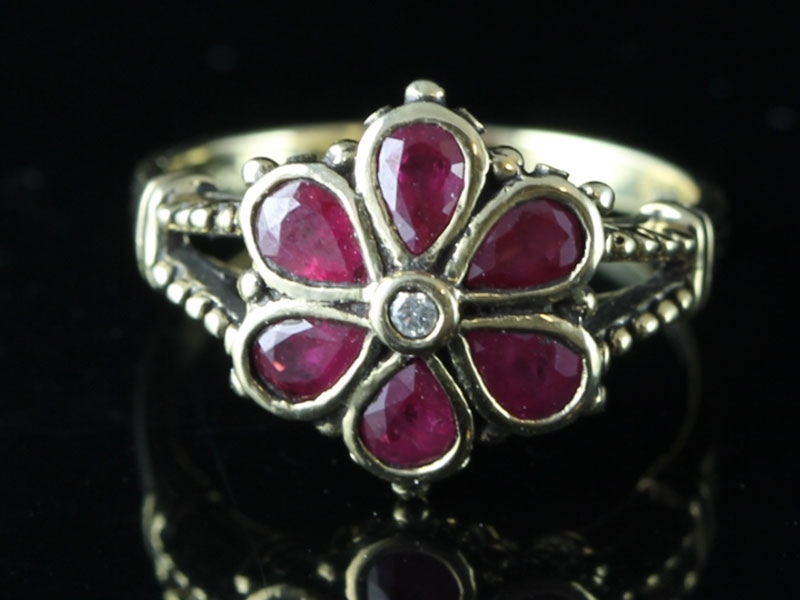 This ornate, deep rich red Ruby ring is an alluring alternative to the traditional engagement ring. 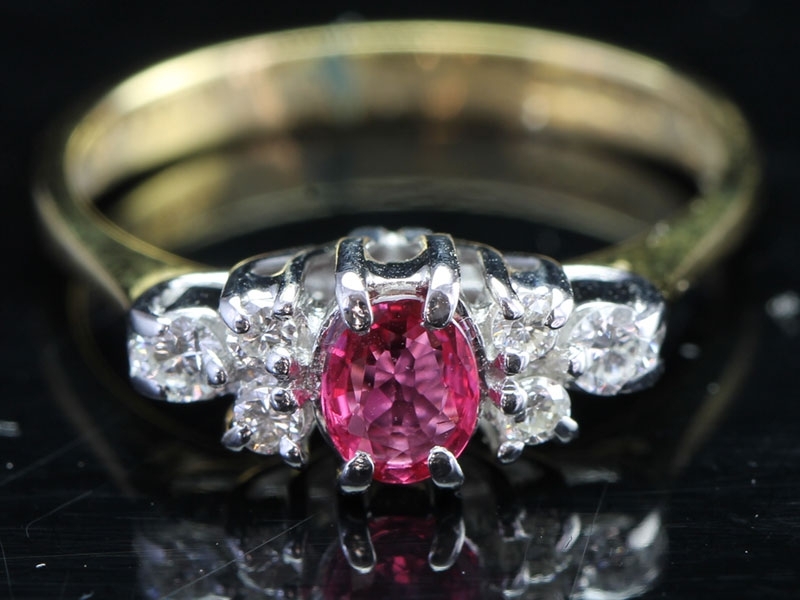 Give romantic glamour with this Ruby and Diamond ring. 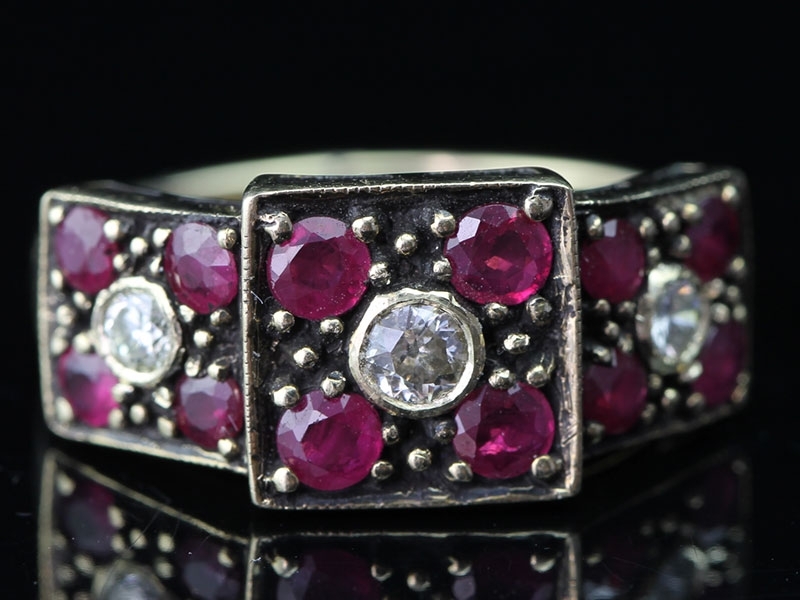 This ring features four maquise Rubies with a remarkable deep rich red colour. 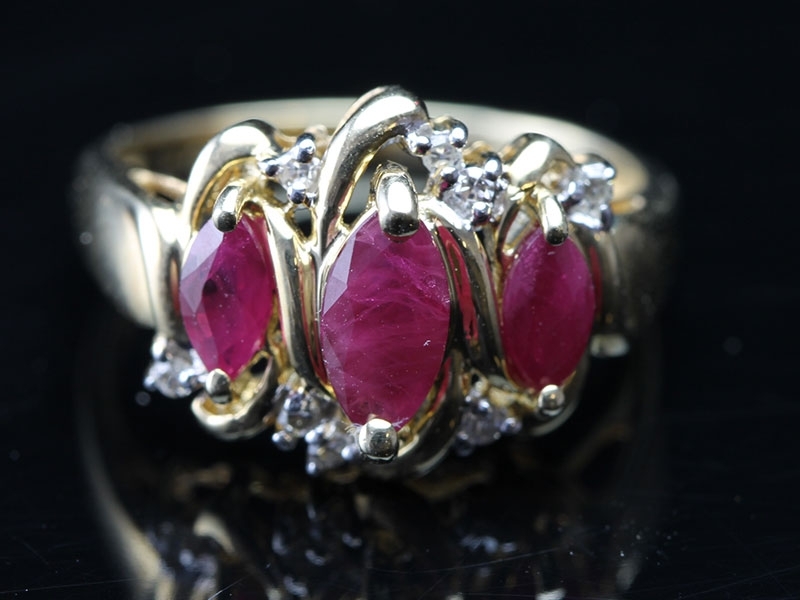 Sweeten your style with this unique, glamorous and gorgeous Ruby and Diamond Ring. 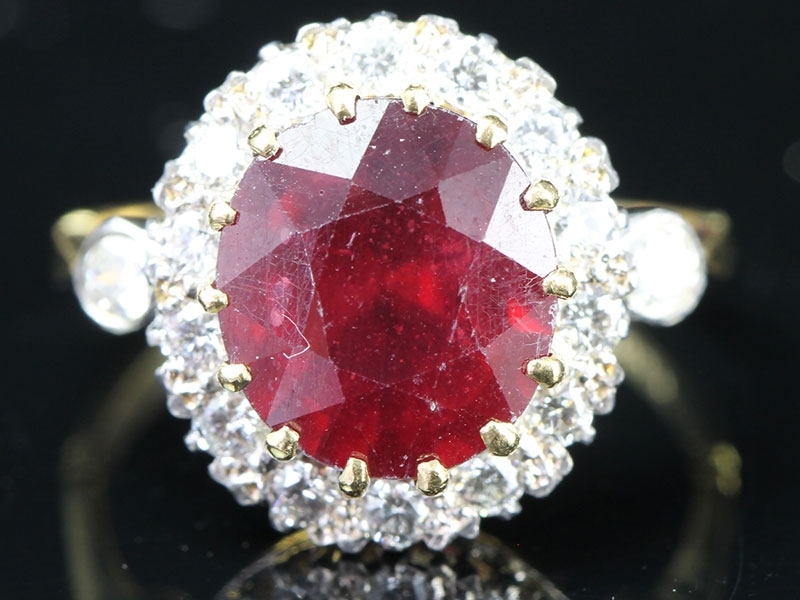 One of the most popular gemstones is the Ruby which has exactly the same chemical composition as Sapphires. 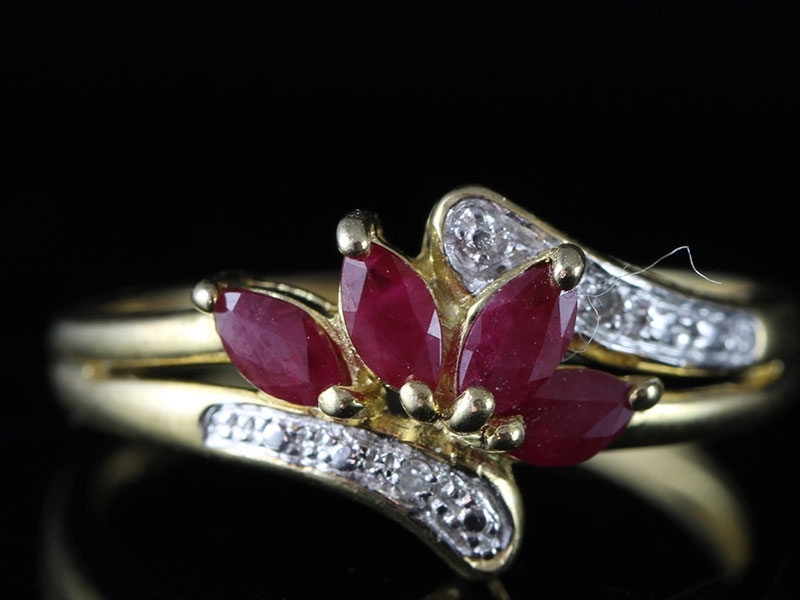 The three gorgeous marquise Rubies are a deep, �pigeon-blood� red colour. 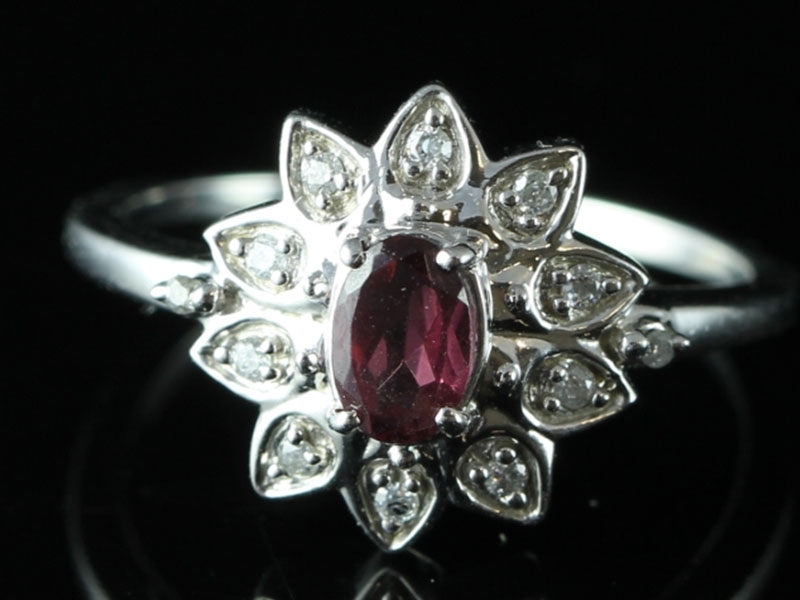 A wonderful ring which has the sense of sophistication that�s portrayed by a deep rich red Ruby. 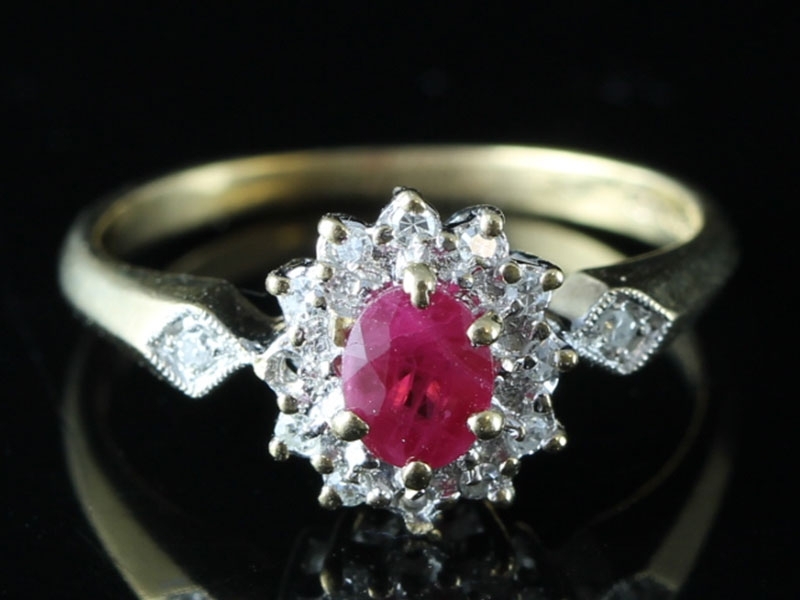 This Ruby modern solitaire ring gives this classy gem a setting with a subtly updated twist. 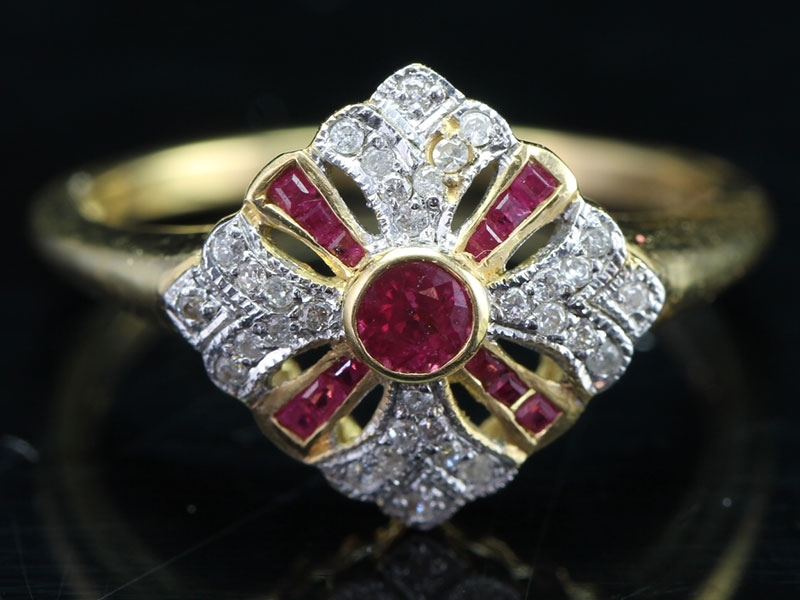 A unique and stunning Ruby and Diamond ring, crafted in homage to enduring Art Deco style and featuring an unusual fleurs-de-lis design. 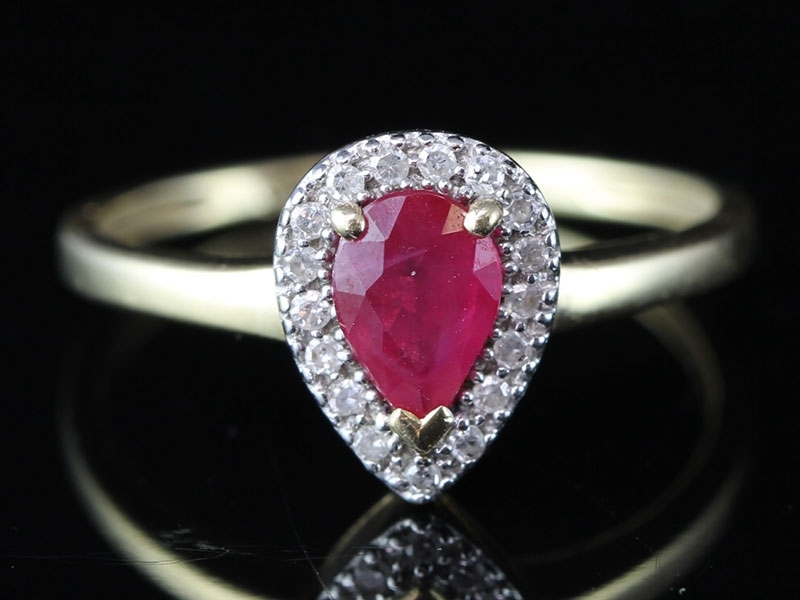 Add a touch of elegance to your fine jewellery collection or give your bridal jewellery set a stunning pop of colour with this beautiful Ruby and Diamond ring. 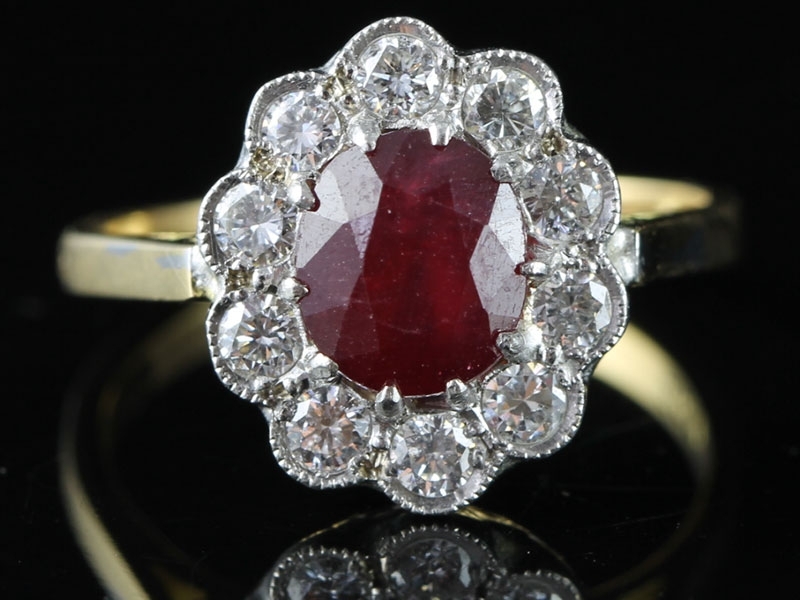 A stunning Edwardian style rich, vibrant blood red Ruby surrounded by a frame of sparkling Diamonds is truly impressive. 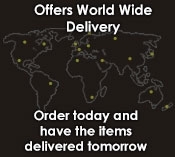 Fine pieces like this are sure to be noticed and one to add to your collection. 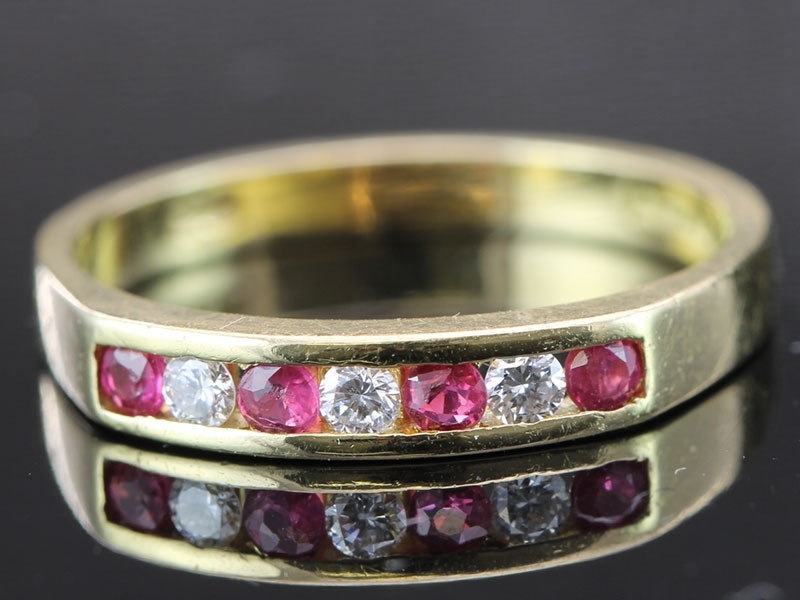 Add a splash of colour to your fine jewellery collection with the elegance of Rubies and Diamonds with this ravishing eternity ring. 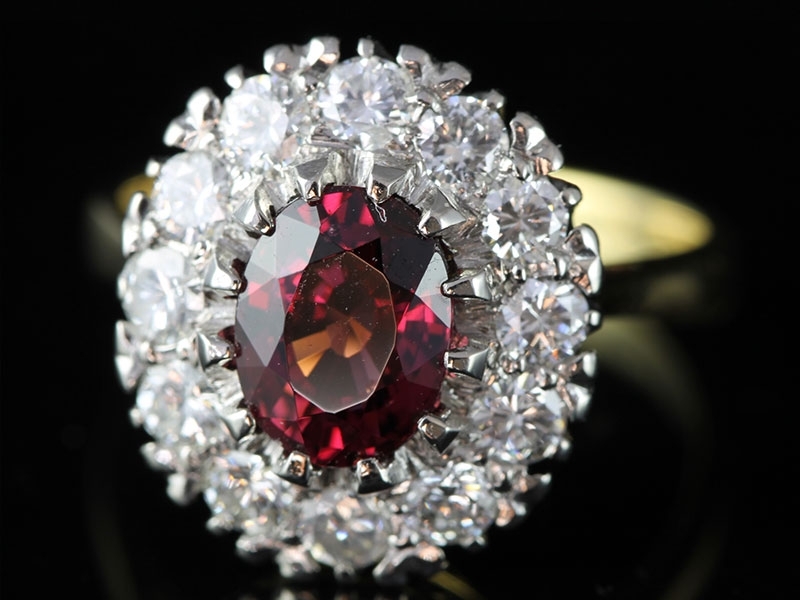 This stunning ring features a 3 carat rich red Ruby hugged by a halo of bright white, sparkling Diamonds. This is an incredible ring fit for a princess! 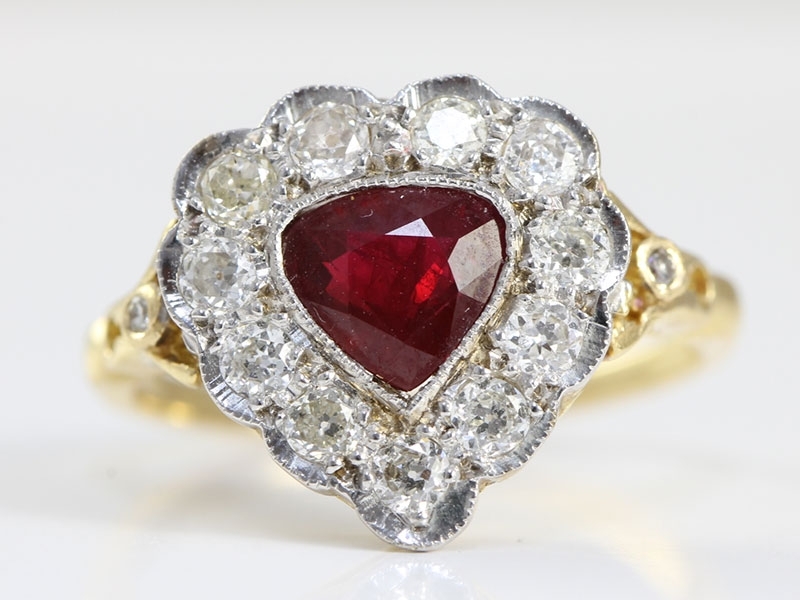 Ruby represents love so complete a sophisticated look, with this elegant Ruby and Diamond cluster ring.